Content that goes unshared is like a commercial that no one sees. It’s had time, money and energy invested into it. It’s even got an agenda; a product to push. But no one sees it. Therefore it might as well not exist. So how do you ensure your content doesn’t sink into the depths of obscurity? 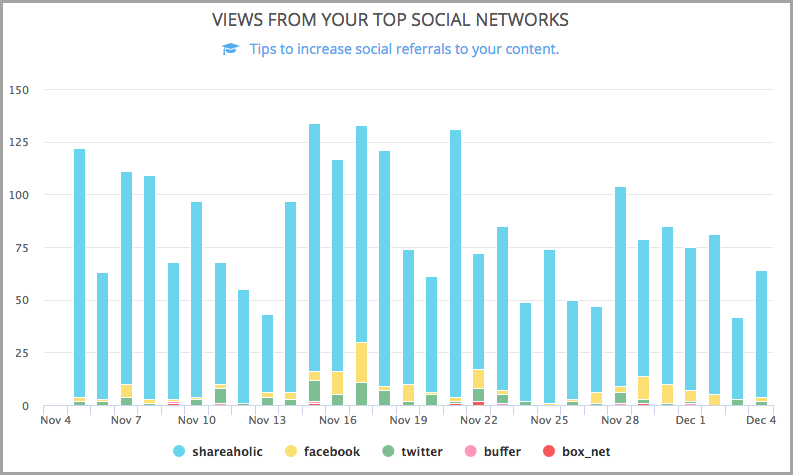 How do you find the magic formula to achieve social shares and referral traffic? “I tell my content creation team they have only one KPI. Was their content shared or not? Is it share-worthy? Even technically sound content doesn’t deliver ROI if no one shares it. ROI for content is easy to measure. It starts with shares and ends in leads. 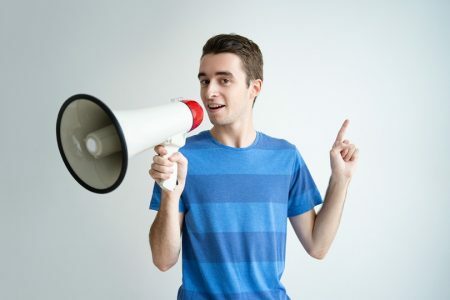 So, how do you build content people want to share? Read on. This is a big one. For any niche, there’s an audience. What does your audience look like? What do they value? Develop customer personas, and think about what they value. 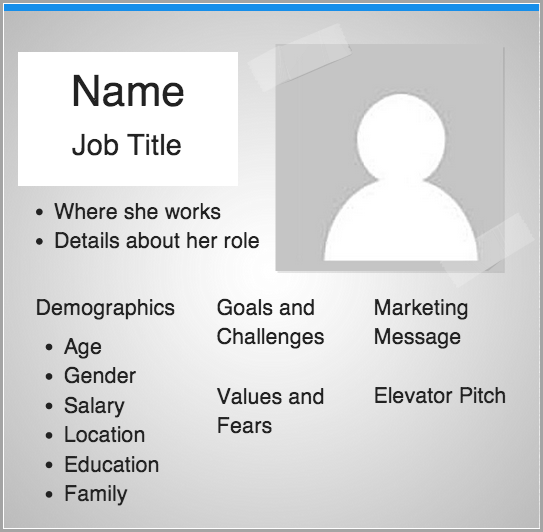 Here’s a basic persona template from Buffer. Think broadly. Are you marketing to other professionals and catering to their business needs, or are you marketing to a community? Knowing the key differentiators between B2B and B2C marketing and sales will help inform what type of content you’ll develop. When developing B2B content, create 3 to 5 personas that reflect the range of decision-makers in the sales funnel. An executive will be more likely to read a progressive piece that is informative, philosophical and thought-provoking. A sales manager will be more likely to read an actionable piece that is directly related to generating more sales. 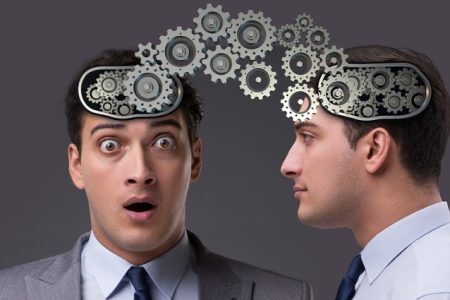 Although emotions are always going to play a role in B2B content, they’re more central to B2C content. Whatever information you’re passing along to the consumer, be sure to emphasize the emotional buy-in for them. In other words, why should this person care about what you’re saying? What problem are they trying to solve? 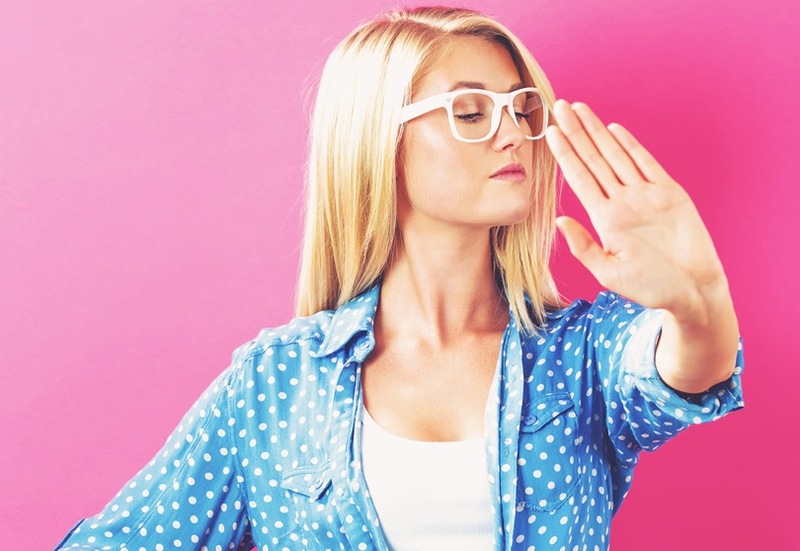 Here are Hubspot’s best practice recommendations for developing a good buyer persona. And here’s an example of a good B2B persona. Note that the following persona covers quite a few roles: Hubspot’s client, Visual Creatives, is casting a wide net, which is recommended. This persona values things that quite a few business owners value: creativity, speed, and loyalty. Truly useful content will share these values. It will also help solve problems. 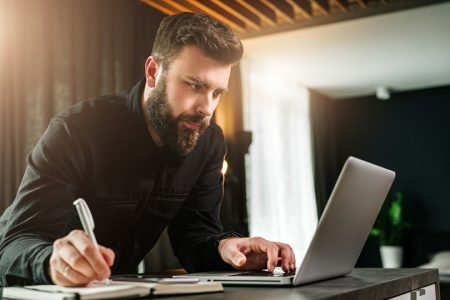 This persona’s main problem is he doesn’t have enough time to take a top-down look at the business and implement innovations that will save him time and maximize creativity. Visual Creatives will therefore want to create the type of content that people who influence their buyer persona type will share. 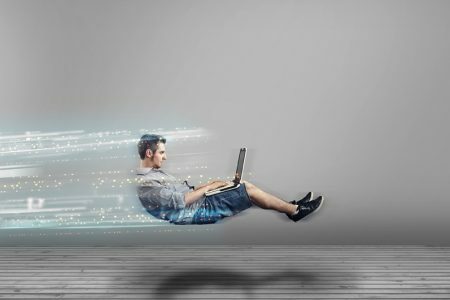 Website analytics: These reveal how visitors get to your site, which keywords bring them there, and how long they stay. 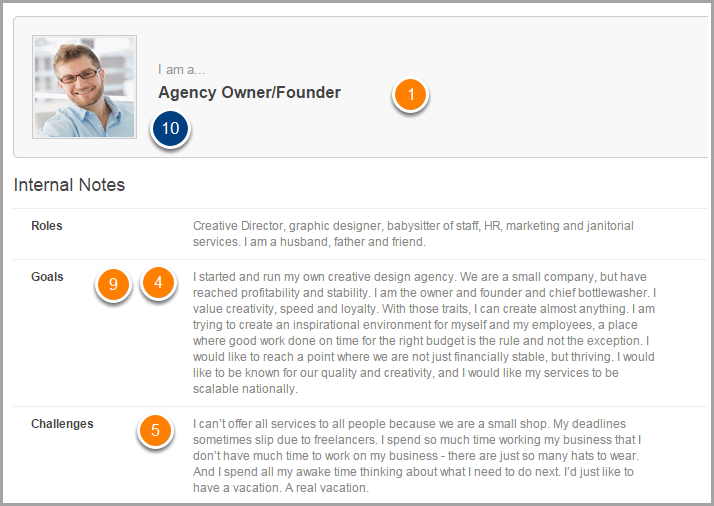 Team input: People on your team can have valuable insight on your target audience from their own experiences. Social media: Social media listening is huge when it comes to figuring out buyer personas and what your audience likes to share. Surveys and interviews of customers: Your existing customers are your most valuable asset for identifying your target audience as you’ll be creating content they want to share with their friends. This is a good place to start. But the next question is… does creating useful content that helps solve problems necessarily get a ton of shares? To make content truly shareable, you need to do the following. Even saying ‘harness the purple cow’ is enough to grab attention. But not as much attention as an image gets. Okay, you may say, “That’s not a real purple cow, though. I’m not buying it.” Nothing beats authenticity, after all. But at least you started to put some consideration into this whole purple cow business. Now we’re talking. The inventor of sliced bread initially met failure. No one cared about his product. Then Wonder White figured out you have to market the stuff to sell it. Today, it’s not enough to put marketing messages out there like marketers did with commercials in the past. You’ve got to make your content stand out to your audience. Otherwise, they’ll ignore it. A purple cow amidst all those regular-colored cows will stand out for sure. Even if people think it’s weird, they’ll tell their friends about it. 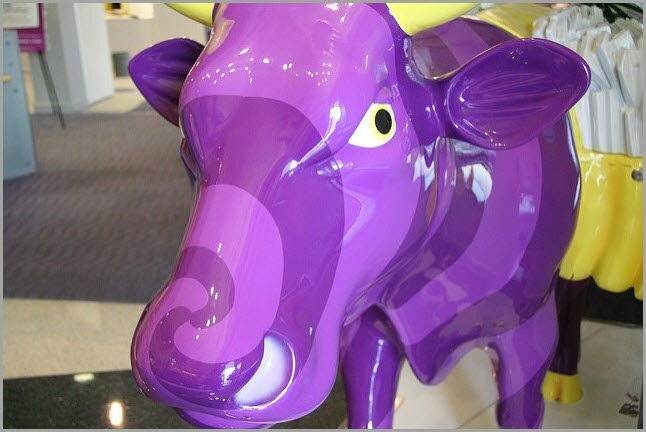 Godin argues that it’s best to produce purple cow content. Even if people hate it, they’ll talk about it. They’ll spread your idea because it’s ‘remarkable’. Here’s an example. 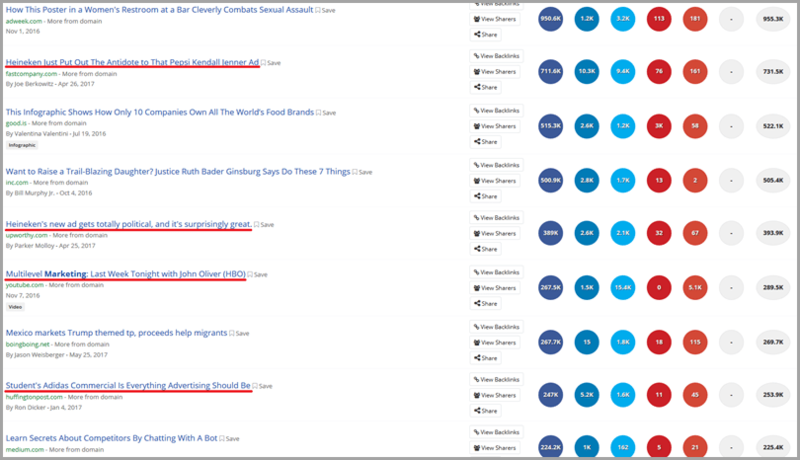 If I go to BuzzSumo and type in ‘marketing’ without ruling out any type of content and looking for everything in the last year, here’s what happens. Surprise! This article from Adweek has the most shares (950.6K). Don’t overtly promote a product: Seriously. The kid who stands up in class and says, “Look at me, I’m awesome” is the least popular kid in class. The kid who tells the best joke is the most popular. In general, Adweek gains a lot of credibility by publishing content that focuses on novel ideas or concepts. In the example above, Adweek didn’t get nearly a million shares by publishing a PR piece that talks about how awesome it is. Hone in on an important, trending topic: The word ‘important’ carries a lot of weight here. If Adweek had said, “Check out this poster promoting My Little Pony!”, not as many people in Adweek’s niche would have cared. However, people care about sexual assault and want to combat it. It’s a hot-button issue in today’s world. 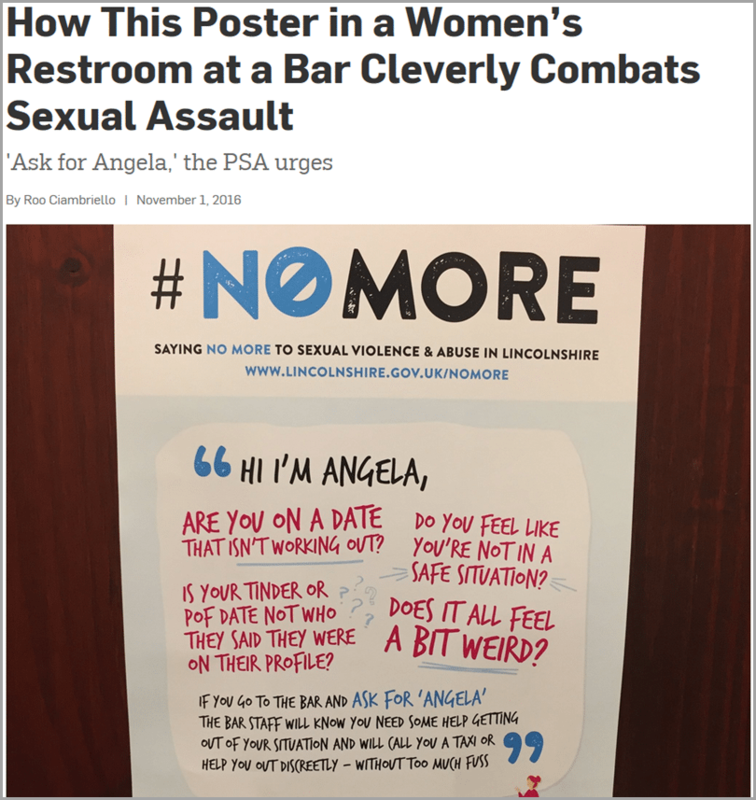 Find a genuinely interesting, unusual angle: This article points out something you don’t see every day: the #NOMORE poster. Marketers deliver messages. The #NOMORE poster is a message. Adweek wisely chose to highlight the message and how it was delivered. While this fits within Adweek’s marketing niche, it also appeals to a broader audience who can appreciate the message for it’s own sake. This shot of the most-shared marketing content says it all (see what I did there?). 4 out of the 8 top articles have video. The average attention span is eight seconds, and around 65% of people will watch the majority of a video but won’t read a page of text. Remember that 77% of Americans own a smartphone and use it to consume content. Images, such as the #NOMORE poster, are easy to digest on social media using your smartphone. So are videos. People enjoy scrolling through lists and quickly consuming the main points in articles. Embrace these formats. Infographics can also neatly combine the power of memes with the usability of lists. 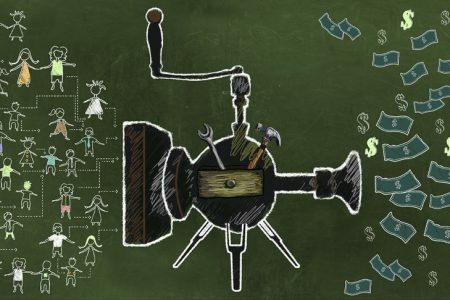 How could tools ever help create shares? Isn’t this all about which type of content to create? The truth is that often, it’s extremely hard to get a lot of attention, even if your content is excellent. For instant amplification, there’s Shareaholic. This tool makes it easier for you to enable sharing on your blog. It also offers social analytics and content promotion. Shareable images make it simple for people to share images from your blog on sites like Pinterest. This can be incredibly useful if you’re prone to summing up your content in an infographic. Alternatively, look at the content most shared on Facebook. 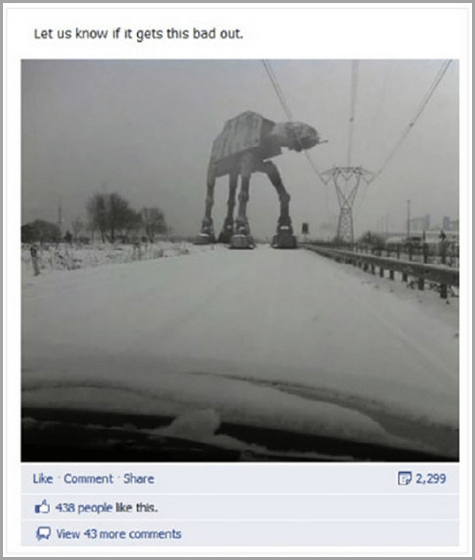 This is humorous, light fare – a mashup of the weather with a Star Wars image. It reached 40,000 people. Then there’s the inspirational quote approach. This gained over 10,000 shares. 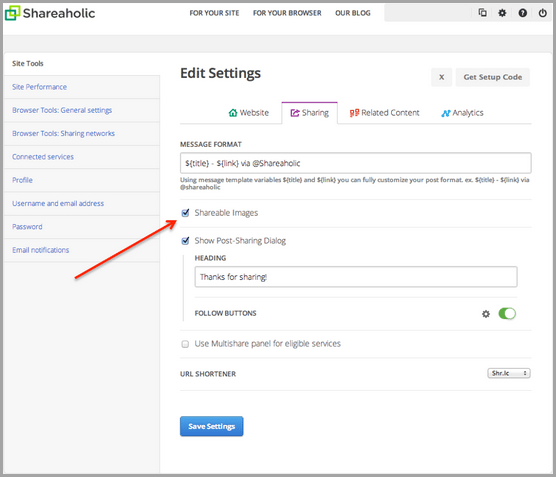 Create a shareable image to go with your posts, and use an app like Shareaholic to make them easy for people to share. Another great tool to be aware of is Google Trends. You can use it to identify content that’s trending in Google’s search engine, as well as YouTube content. You can then adjust category and location based on your aim. 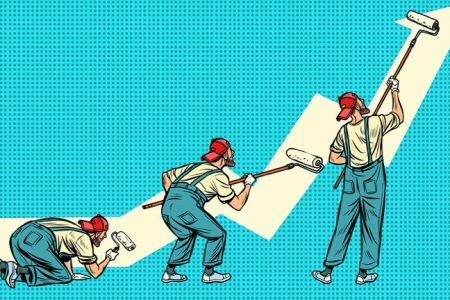 Identifying search trends helps you narrow down ideas for content people will want to share right now. Elsewhere, there’s Social Rank. 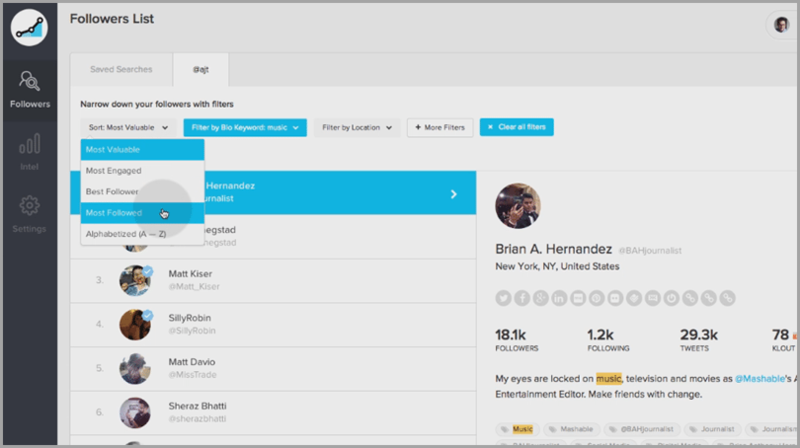 This tool helps you identify and rank your Twitter and Instagram followers in terms of importance. Then, you can filter through and reach out to the most important followers; the ones who you expect to share your content. You can also craft content based on what your most important followers have shown they like to share. With that, you could use the tool Tweriod. If you figure out the best times to tweet to the best people, your posts are more likely to get shares. Then there are the tools that help create traffic. Of these, Social Locker and Gleam Competitions make the most sense. Social Locker asks people to share in order to gain access to content. So, if you have a white paper, e-book, or supplementary study that goes with a really compelling piece of content, you can use Social Locker to generate shares. People love competitions, which is where Gleam Competitions comes in. Say you start a contest or giveaway on social media. Gleam Competitions is a plugin through which you can manage the competition, collect emails and give people rewards for sharing. It won’t matter what tools you use if you aren’t creating content that’s valuable to your audience. Spend all the time you can analyzing who your audience is and what they want. Reinforce their values and help them solve problems they’re trying to solve. Look for interesting and unusual angles on your topic. Look at what’s trending. Include images and videos in your posts that readers can easily share. 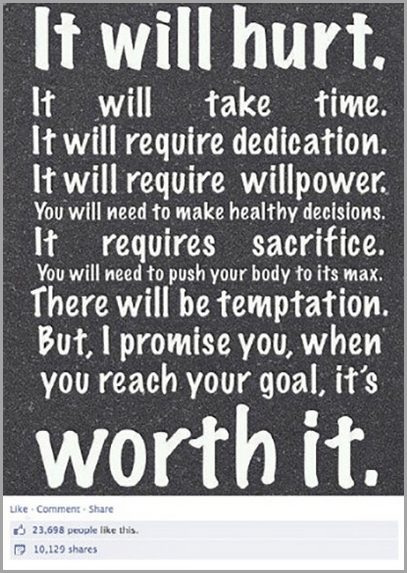 Keep at it! Eventually, you’ll hit a nerve. And when you do, people will share your content. What they do after that is entirely up to them. Guest Author: Daniel Matthews is a freelance writer whose mission is to create the most shareable content in the universe. He would also like to find the best taco stand in any given location. Hit him up on Twitter: @danielmatthews.